A terrific Pacific treat made with red meat tuna and shirasu. 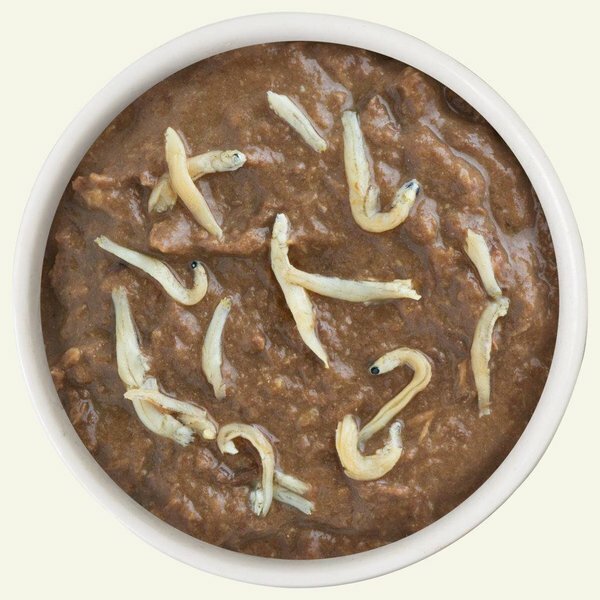 Shirasu are baby anchovies. Its perhaps the smallest fish available on the market, shirasu have become a traditional part of the Japanese diet. 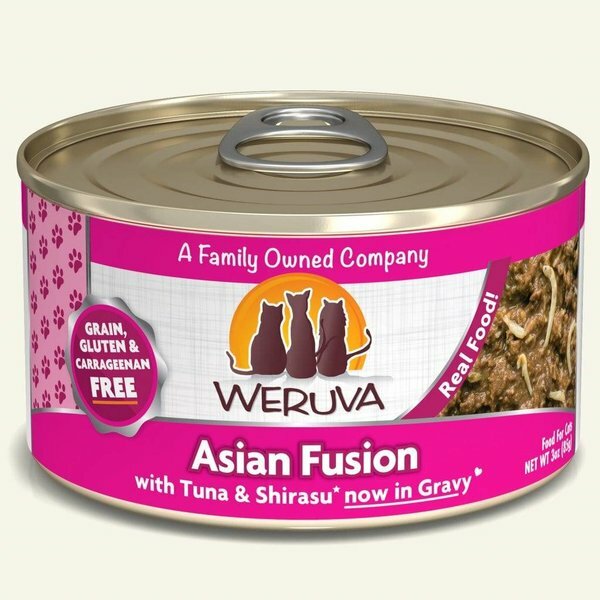 Ingredients: Tuna Red Meat, Water Sufficient For Processing, Shirasu, Vegetable Gums (Locust Bean, Guar, Carrageenan), Sunflower Seed Oil, Dicalcium Phosphate, Choline Chloride, Taurine, Vitamin E Supplement, Zinc Sulfate, Thiamine Mononitrate (Vitamin B1), Nicotinic Acid (Vitamin B3), Ferrous Sulfate, Calcium Pantothenate, Vitamin A Supplement, Potassium Iodide, Manganese Sulfate, Vitamin D3 Supplement, Copper Sulfate, Riboflavin Supplement (Vitamin B2), Pyridoxine Hydrochloride (Vitamin B6), Folic Acid, Menadione Sodium Bisulfite Complex (Source of Vitamin K), Vitamin B12 Supplement.